The ‘Teens, Social Media and Technology 2018’ report from Pew Research was just released, and YouTube is now the most popular social media channel amongst this demographic. The last teen technology survey from Pew Research was in 2014-15, and at that time Facebook was the number one platform. Today Facebook is in the number four spot, losing its position as teens look elsewhere for digital social engagement. 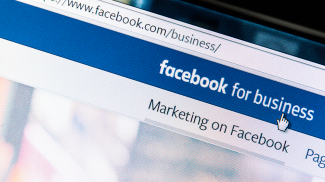 For small businesses who cater to this demographic, it is important to recognize the most popular social media platforms and those where your target audience spends the most time. 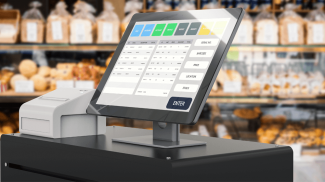 This will let you target your marketing campaign with greater accuracy so you can reach your audience on their preferred channels. The survey was carried out online and via telephone by NORC from March 7 to April 10, 2018. 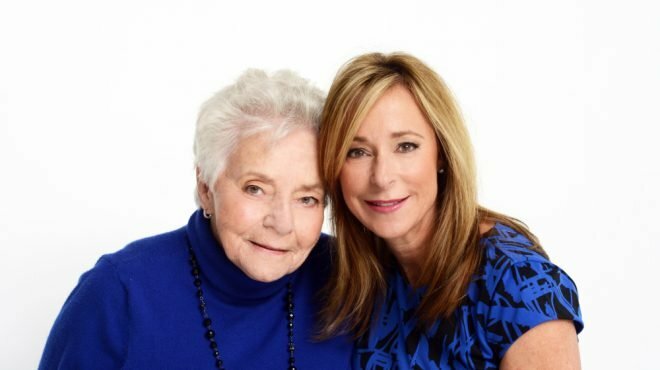 The interviews included 1,058 parents with teens ages 13 to 17, as well as 743 teens. 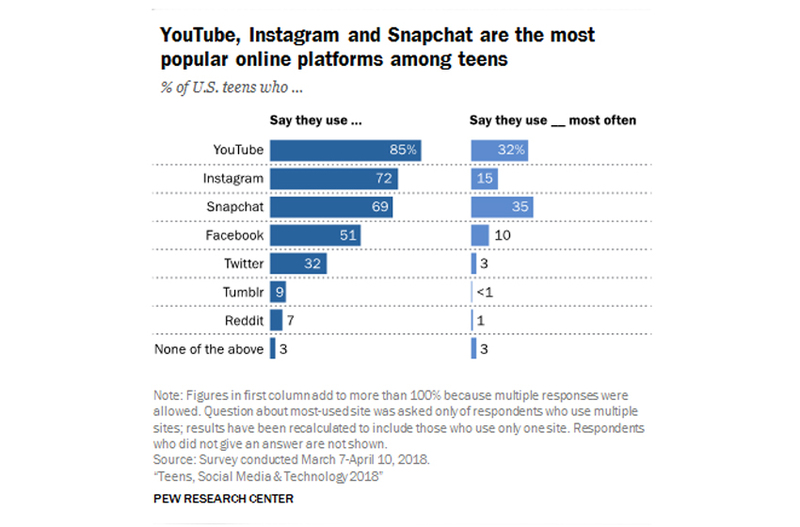 Although YouTube was not part of the last survey, this time around 85% of teens say they use the platform, which is the highest percentage of users of all the social channels. Instagram (a Facebook company) was second at 72%, Snapchat third with 69%, and Facebook came in fourth at 51%. Only 32% of teens indicated a preference for Twitter, with just 9% indicating use of Tumblr and 7% Reddit. When it comes to the channel teens use most, Snapchat is first for 35% of the teens. YouTube came in second at 32% and Instagram was next at 15%. 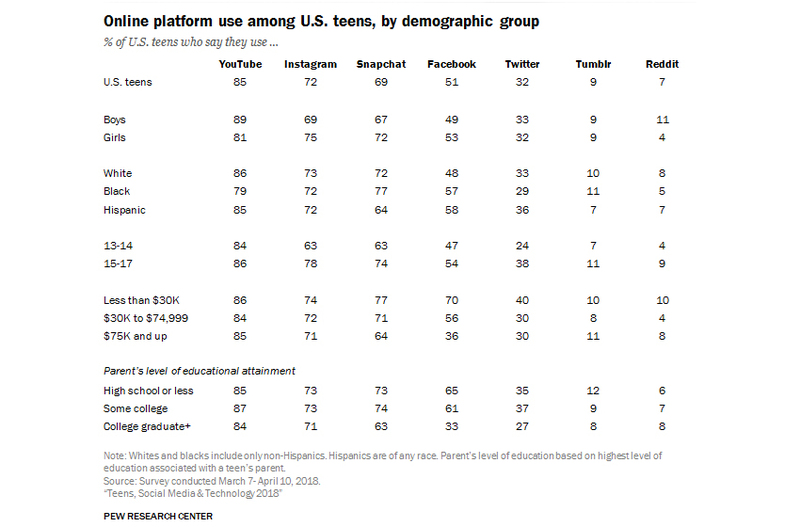 For Facebook, again trailed in fourth with only 10% of teens saying they used it most. This digital presence, of course, has increased the amount of time teens spend online. And this trend is driven by the ubiquity of smartphones, a technology now accessible to 95% of teens. With a smartphone in hand, 45% of the teens participating in the survey said they use the internet almost constantly. This is nearly double the 24% of teens who said the same just three years ago. This is when the last survey was taken. Another 44% said they go on several times a day, with 11% reporting less frequent use. The popularity of YouTube has exploded with the growth of smartphones, creators and a monetization strategies creating a lucrative business for many individuals. This has made YouTube a great marketing platform for businesses seeking to capture even fraction of its audience. Whether you use YouTube to promote your business with your own channel or to advertise on someone else’s, you have many options. I’d be interested to see what the numbers are for time spent on each. Since YouTube is a one-sided platform (you basically just consume) it doesn’t have the interaction that can really increase stickiness. But they have so much content there’s always something to watch. With faster Internet, there are now more and more people who prefer videos over pictures.